This course will provide educators with an understanding of the Law of Attraction and how it relates to human achievement and accomplishments. This course examines the processes, uses and applications of the laws of attraction in order to implement them in student goal setting. Teachers will utilize these concepts in their teaching and instructional delivery to improve student learning and motivation. Positive thinking, changes in mindset, self confidence and productive outcomes in life and school goals are explained. Personal support in holistic wellness, health, creativity, and mental growth for human relations are offered. Teachers will develop lessons or a project and an essay explaining how the course content can be implemented in the classroom and schools. Students will learn about the basic universal laws and the law of attraction as a scientific theory of quantum physics and how they apply to human psychology. Teachers will learn about the law of deliberate creation and how positive or negative thoughts and emotions attract outcomes. Verbal affirmations are explored and together with vibration harmony assists in manifesting reality and personal goals. Educators will learn about positive affirmation and how the art of allowing can be implemented in schools to improve teaching relationships and for motivating students. Teachers will examine their own personal and spiritual lives as they relate to working in today's stressful schools. 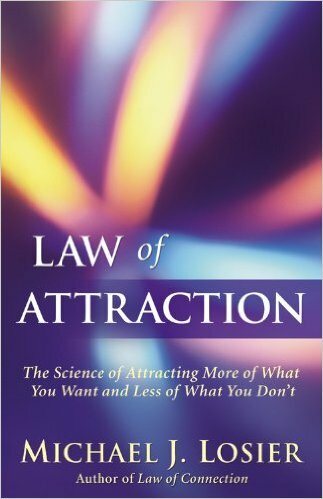 The will learn to utilize segment intending to practice the law of attraction in school environments with educators and students.